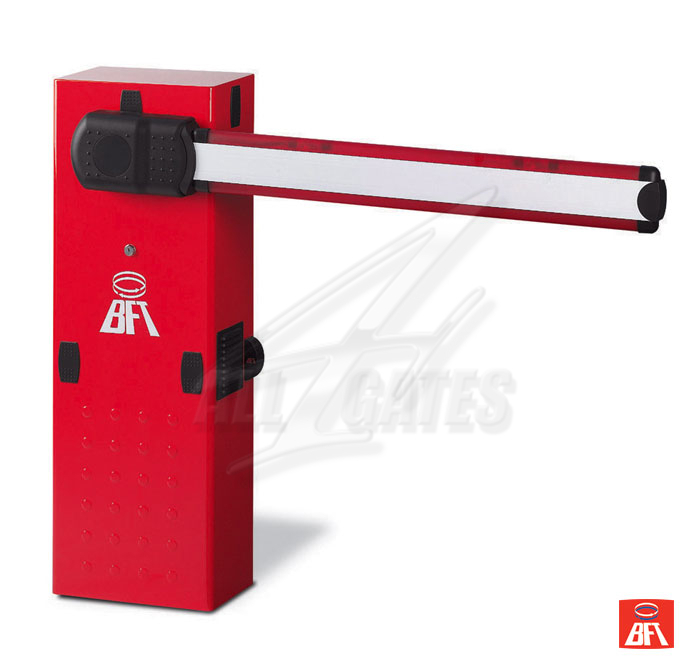 BFT electro mechanical barriers are ideal for both small car parks as well as very large and heavily used parking complexes. In a flexible way, we can choose the best solutions, and a very wide range of accessories lets you customize the barriers to user needs. 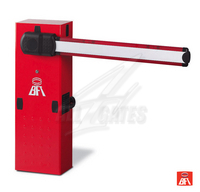 Barriers BFT systems cooperate with parking and access control systems worldwide. Barriers are designed MOOVI a series of entries 3 and a width of 5 m. The motor is powered by 230V with its own cooling system. Locking version of RMM have built control unit LEO MV D Equipped with an LCD display. They are Equipped with the function of the relief opening and closing When. Security provides obstacle detection function Implemented through an optical encoder. Barrier after colliding with the obstacle Immediately stops and reverses the movement. Alpha versions of the control panel does not have the detection of obstacles and Exemptions. Integrated radio with rolling code allows up to 63 remote Transmitters. They are designed to work intensive 30S 3000 cycles per day, 30-30RMM 1200 cycles per day, 50-50RMM 600 cycles per day.